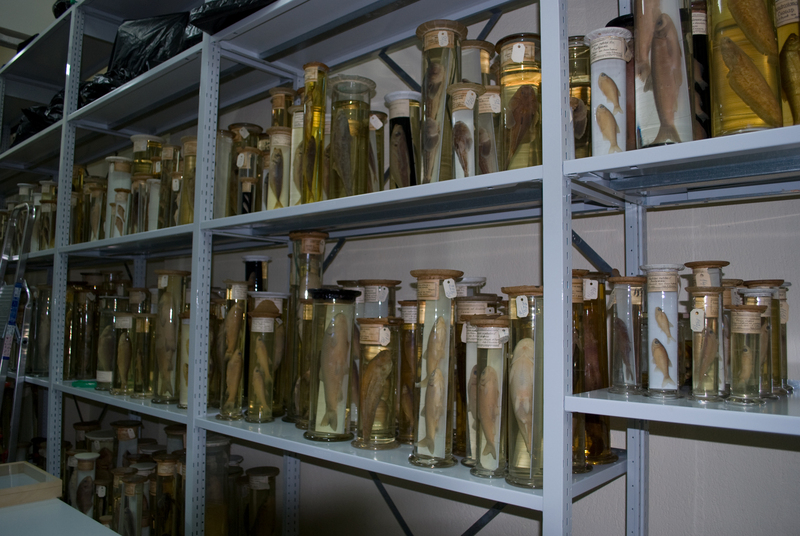 A specialised repository for the research collections of insects, amphibians, reptiles and fishes has been built and already operates at the National Museum of Natural History, Sofia. 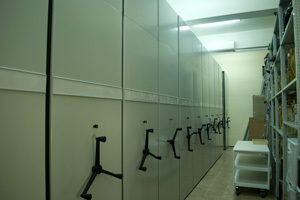 The repository was built and equipped thanks to the financial support received from the National Science Fund at the Ministry of Education, Youth and Science, project 'Development of a National centre for excellence in the fields of biodiversity and ecosystems research — CEBDER' (DOO 2-15 Contract/17.02.2009). In the repository all the scientific collections will be stored in compliance with all requirements for temperature, humidity, and dust. 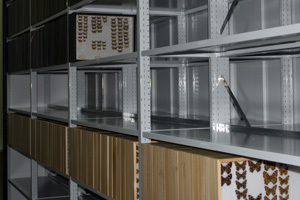 In a repaired, refurbished and fully air-conditioned room, except stationary racks, 11 mobile racking modules MAUSER were installed, providing easy access to any specimen or insect box. The arrangement, maintenance and rearrangement of the collection in a systematic order is facilitated by the use of 'English library system' movable type modules, saving space and greatly optimising the storage capacity. The individual modules consist of removable and adjustable shelves, allowing placement of exhibits of different sizes. 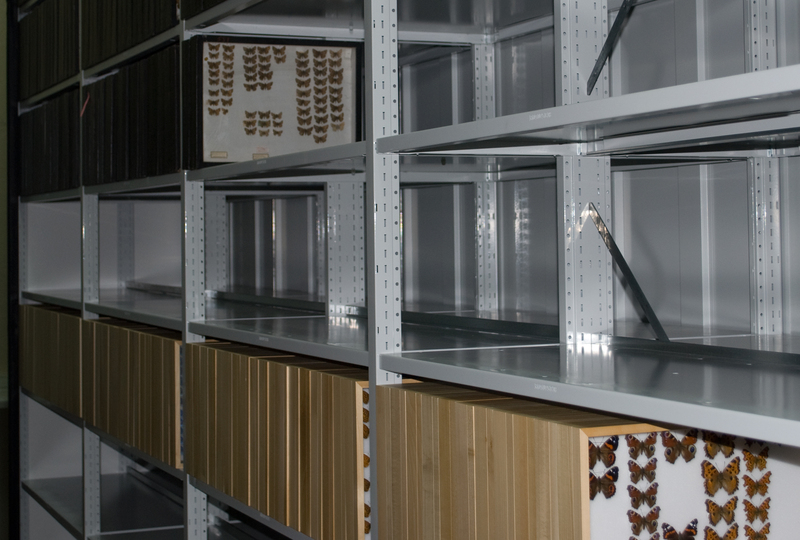 Under the same project 400 precisely crafted entomological boxes were purchased from Poland, in which the insect collections are rearranged. A supply of a modern stereomicroscope with a digital camera is also expected.